Lately, ok let’s be real, I’ve never been the greatest at keeping things picked up around the house. Part of that has to do with the fact that we just get busy and at the end of the day when we’re tired we would honestly rather sit and watch some TV than do a bunch of dishes and mop bathroom floors. My mom still jokes about how she misses her dining room table being covered with art supplies, because when I was still living at home that was my creative space. Pretty much all summer break you could count on the table being covered with paints, pencils, sketchbooks, the works. 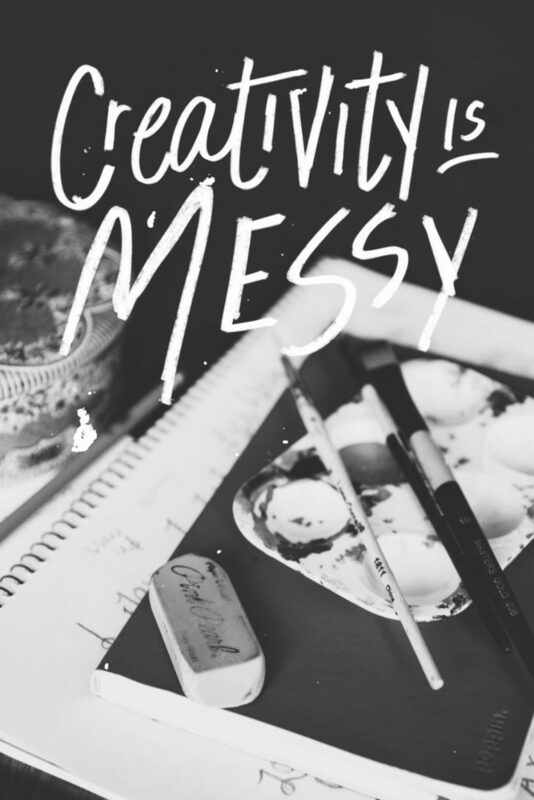 Creativity is messy. And even though that’s more often true than not at our house I’m kind of over having a messy space that you have to spend all weekend picking up. It tends to really put a damper on things, you know? Last week I re-found this pin I had pinned months ago and finally clicked past the image to see what it was all about. I really liked the idea of taking 15-20 minutes a day to clean a part of your house. I started this last week and customized the list to fit our apartment needs (I also added in laundry) and so far I’m loving it. I take the first 15-20 minutes after Jake leaves for work and clean whatever section is on my list for that day. 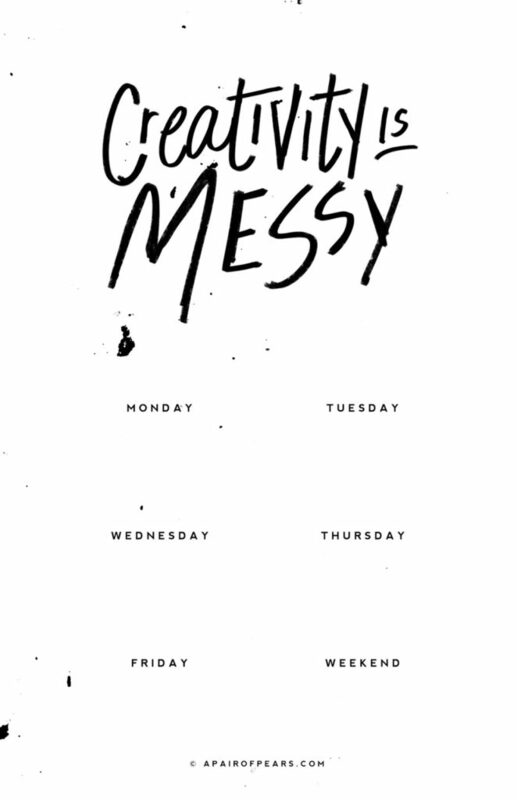 You can download this weekly list and customize your cleaning routine. I’ll be hanging mine on the fridge. I think the key is to keep the list short, 1-2 things. I’ve seen other lists that go on and on and it’s just so much that I end up not doing anything. This is way more doable. Mom, you would be so proud, we even managed to make our bed and the kitchen never once had a pile of dishes on the counter! Our apartment still isn’t perfect, but it’s come a long way from where it was. It’s better. I’m getting better. ooh, I need something like this real bad. Thank you for sharing! I completely agree that I'd rather sit & watch tv at the end of a tiring day! But 15 minutes (and a much cleaner house) would make me way happier. Short bursts is the best way to tackle mess/maintain your home. I always feel so much lighter when I wake up in the morning to see everything in its place, no [dog] toys strung out across the floor (they're worse than children sometimes, I think), no dirty dishes still in the sink, etc. Your plan is a good one, I usually take 5-7 minutes right before bed to put our glasses in the dishwasher, fold the blanket back on the couch, and straighten the coffee table.. and I can drift off thinking about better things. Our house tends to be quite tidy, but not necessarily always clean (I think it's better if it's the other way round, but not as common ;). So for us, another system has been more useful (inspired by an Apartment Therapy article): we deep clean one room/area a week and just keep on top of the rest, which means essential cleaning in the kitchen and the bathroom and keeping the rest of the house reasonably tidy. I have been Spring Cleaning for the past few weeks and it kind of feels never ending. I do feel A LOT better which makes me in a better mood when my house is spotless and everything is taken care of though. I struggle with the same thing! There is always some project going on somewhere in my apartment, and it seems like there is something I'd always rather do than clean. Relationships and creativity always come first, dishes second! This printable will be awesome for us though! Recently just started following your blog (thanks to that great DIY MCM coffee table post!) and I have to agree. I live in a 1-bedroom apartment (more like 1/5th of an old house with 4 other units) and find it hard to keep it clean. Is it just me or is the war against dust bunnies seem endless? I'm usually good about getting out of work and vacuuming or doing dishes right away since I sit all day long at my job, but it's easy to fall back and wait for the weekend to play catch-up. Setting aside a few minutes everyday sounds great until you get out of work, come home and realize it's about 6 and you have about 4 hours left in the day before you have to sleep (I like sleep, especially 8-hour sleeps).